Have you just Moved to Tenerife? One of the first things you will need is a Spanish NIE Number. 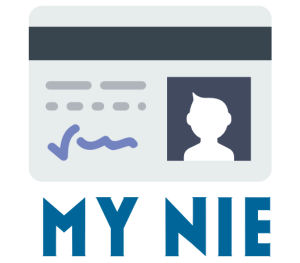 You will need your NIE Number (Número de Identificación de Extranjero), the equivalent of a Spanish citizens Número de Identificación Fiscal (NIF), to be able to rent or buy property, work, connect to important services such as electricity, water and internet and pay taxes. 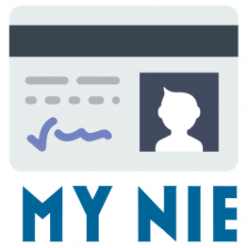 Here at My NIE Number, Spain’s no.1 NIE Number online service, getting your documentation and NIE Number booking in place is our Job. We will book your appointment at the Police station in Tenerife and complete the forms you require. Your only job with be to arrive at the Police station at the time and date we provide you to hand in the paperwork we provide you along with your Valid Passport. The island of Tenerife is the largest of the Canary archipelago and is known as the island of eternal spring because of its all year round excellent climate. The island is full of stark contrasts and has a variety of scenery which changes through the regions. A mountain chain runs through its centre from Anaga to Teno and on both of its slopes there are large, exuberantly fertile valleys, among them especially La Orotava and Gumar. In the heart of the chain there is a gigantic, natural crater, called Las Cañadas del Teide, which is 29 km across and has officially been declared a National Park. is snow covered in the winter and marks the island with its unique silhouette. Like the rest of the Canary Islands, Tenerife dates back around to 8-11 million years ago, when its volcanic mountains developed in the Atlantic. It is thought that there were originally three islands, with the mountain ranges of Anaga, Teno and Valle San Lorenzo, but at some point, with massive volcanic activity, the areas merged together and became Tenerife as we know it today. The original inhabitants of the island, were known as being the most fearless of all the Canary Island inhabitants; it is believed that the first people were aboriginal and of the northwest African origin, they were named Guanches. They were conquered by the Spanish over 500 years ago, not without putting up a great fight. Tenerife has an extremely varied plant and wild life; large, wooded mountains, extensive areas where banana, tomato, potato and other agricultural products are grown. Its coast is rocky and lined by cliffs in some places, while in others there are beaches with soft, clean sand, which are sometimes black and sometimes golden. Tenerife’s all year round agreeable climate brings thousands of tourists every year to the popular seaside resorts of the island. The resort of Playa de las Americas, popular with the younger tourists, has developed into a vibrant playground of clubs and bars, and is definitely not for the fainthearted! Its neighbour Los Cristianos, however, offers a slightly more laidback destination, although it is still bursting with attractions and amenities for the holidaymaker. Santa Cruz de Tenerife is the capital city of the island is also an upbeat and buzzy holiday destination; whereas the resort of Puerto de la Cruz is definitely a destination for the more discerning holidaymaker; a lot more peaceful and more popular with an older crowd. The all year round warm weather makes Tenerife a popular destination for golf holidays. There are a host of excellent courses across the island, including the Playa Las Americas course, Golf del Sur, Los Palos Golf, Golf Adeje, Amarilla Golf and Golf Club Real.auty, with beautiful clean beaches and ample facilities. Due to its volcanic nature, many of Tenerife’s beaches are not natural, but man-made. Those that are natural have their characteristic black sand. However, the increasing popularity of the island as a tourist resort, led to the development of Tenerife’s man-made golden sand beaches. The Canary Islands enjoy practically all year round good weather. They are nicknamed the Islands of Eternal Spring and temperatures rarely drop below 16ºC and rise to around 30ºC in the summer. The climate is influenced by the island close proximity to North Africa. The town of La Orotava, which is set within a valley of banana plantations, is a wonderful historical old town, which houses some interesting monuments and has been designated a monument of artistic national interest. La Laguna is the old capital of Tenerife, and the island’s cultural and religious epicentre; situated in the Aguere Valley in beautiful natural surroundings, La Laguna is full of outstanding architectural buildings and monuments. Tenerife is a great destination for those who enjoy outdoor pursuits. The mountainous and volcanic island has many interesting routes, normally heading up a mountain, and you don’t have to be a skilled mountain climber to tackle Tenerife’s mountain ascents. In the town of Adeje you can take a boat trip to see whales and dolphins or visit the Black Pyramids of Guimar, in the town of Guimar, which is located 26 kilometres from Santa Cruz de Tenerife. In Corralejo there is a professional dive centre where you can enjoy a scuba diving experience to the underwater volcanic rock formations. Here you can take PADI Certificate courses. Fish plays an important role in the gastronomy of Tenerife, naturally being an island. Especially delicious are Langoustines, Mussels, Octopus, Atlantic Mackerel, and Sardines. Meat dishes are popular, but most meat tends to be imported in, as there is not much livestock on the island. The exception to this is rabbit, which is reared in Tenerife: a speciality rabbit dish is Conejo al salmorejo (Rabbit in Salmorejo sauce). If you are visiting the seaside resort of Adeje then you should try the local speciality of Spicy Canarian Chicken. Get your NIE Number on Tenerife today! Click here to book now.